20th times Super Lig title holder which is considered the most successful team in Turkish football has started their pre season tour before beginning their new journey in upcoming 2016/17 season. They have already played two club friendly matches where they won their 1st match against Zurich by 3 – 0 and drawn their 2nd match against Young Boys by 1 – 1. Now they are going to play their 3rd friendly matches against Danish club Aarhus Gymnastikforening which is commonly known as AGF. AGF is one of the top tier in Danish Superliga which won five times Danish Football Championship. # Match Details: The upcoming match between Galatasaray and AGF will take place in 26th July, 2016 Tuesday at 18:45 according to British Standard Time (BST). It will be a friendly match as well as a part of their pre season tour. The venue of upcoming competition is not confirmed yet. # Head To Head Comparison: This above listed two teams who are the icon in two different league competitions have not faced each other before. It will be their first match where they want to show their ability. # Galatasaray Possible Line Up: Fernando Muslera (GK), Hakan Balta (DF), Lionel Carole (DF), Semih Kaya (DF), Koray Gunter (DF), Yasin Oztekin (MF), Selcuk Inan (Skipper & MF), Wesley Sneijder (VC & MF), Lukas Podolski (FW), Sinan Gumus (FW), Umut Bulut (FW). # AGF Possible Line Up: Aleksandar Jovanovic (GK), Dino Mikanovic (DF), Niklas Backman (DF), Daniel Christensen (DF), Dzhamaldin Khodzhaniyazov (DF), Stephan Petersen (MF), Martin Spelmann (MF), Danny Olsen (MF), Mustafa Amini (MF), Jens Jonsson (MF), Kasper Junker (FW). # Last Five Competitions Result of the Lions: The Lions have won four games out of their last five matches where 1st two matches were Super Lig match. 3rd match was in League Cup competition against Fenerbahce where they won by 1 – 0 goal. Rest two matches were club friendlies against Zurich and Young Boys. They drawn there rest game against Young Boys which was the last match out of five. # Last Five Competitions Result of the Whites: According to the last five matches of the Whites, they won twice and lost also twice. Rest one was drawn. Among five matches, three of them were club friendlies where they lost two and drawn one. They won two matches against SonderjyskE and Viborg in Superliga. # Prediction: It seems to easy for the Turkish giant to destroy the Danish club in their upcoming match. 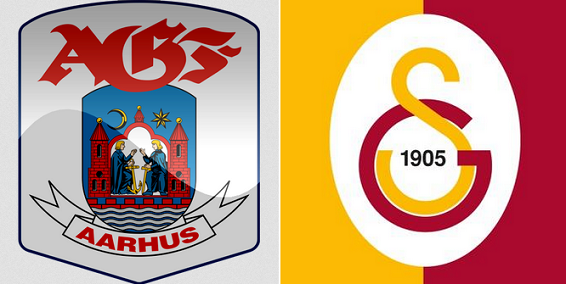 So, the prediction is – Galatasaray 2 – 0 AGF.